The following article was featured on thecodesearcher.com/. Kara Pickering is in Jonathan Matthew Wright’s Codesearcher apprenticeship program and has a remarkable talent for looking at math and seeing patterns that most of us miss. 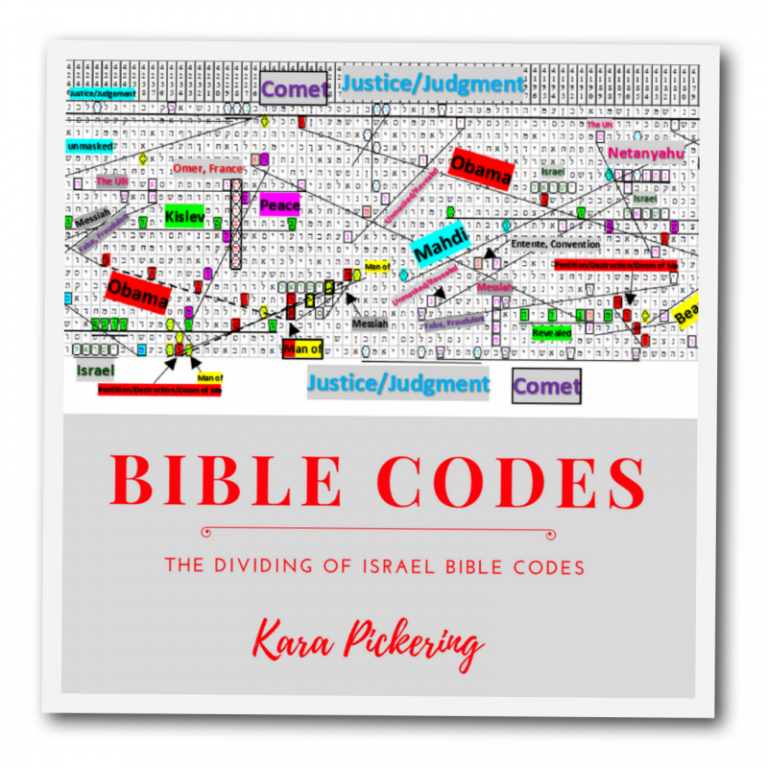 She has a passion to discover what is hidden under the text within the bible codes. Today there was an article that stated that the December peace conference would be delayed until January. 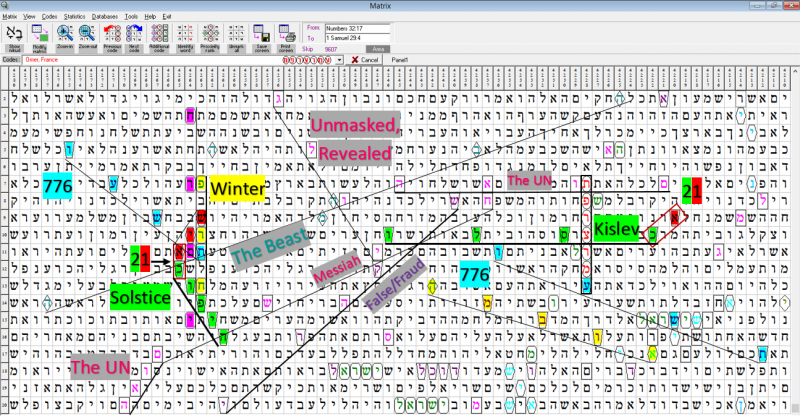 However, in a table that Kara found, she found the winter solstice which happens to fall on Dec. 21, 2016 is still a significant date and tied to the UN in the table. There MIGHT very well be a meeting about this topic still on the table that is not talked about. It is pretty remarkable that Omer, France is in there, which lines up with Leslie Johnson’s word about a dividing of the land, and Rebecca Barnes’s prophetic dream about a comet judgement hitting France. The amount of words relating to this topic showing up in the codes is quite fascinating. We will have to wait to see what happens. The December date could be for next year, though I find it interesting that Obama’s name is within this table as well. Important decisions tend to be made through the holidays when most people are on their holidays. I must admit, after I read this article, I was skeptical…Extremely skeptical. There are so many people out there, claiming to have received “divine revelation” from the Father. Many of these are False Prophets, with their words never coming to pass. 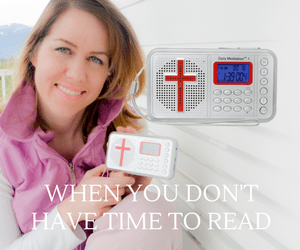 I believe that is Satan’s attempt to discredit, the Kingdom of Heaven…..Where people will get so tired of hearing falsehoods, that they will not heed the warning, from those who have truly heard from the Father. As a Codesearcher Apprentice, I desire truth. 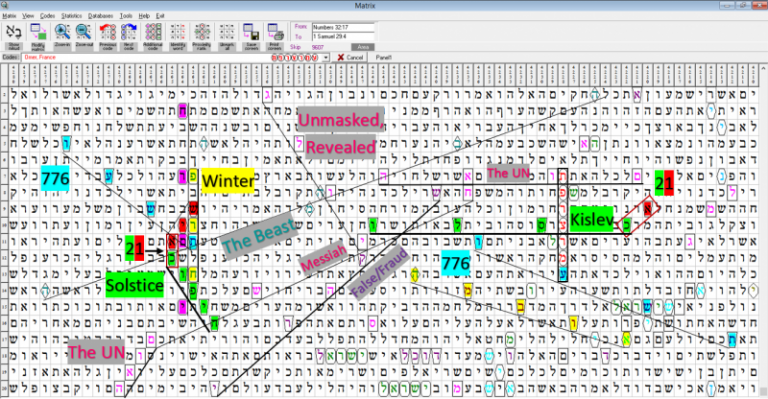 Truth that can only be offered through the Father and His “Word.” If this prophecy was true, it would surely be in the Bible Codes. I fired up my Codesearching Software and got to work. I sat and prayed to the Father for His guidance. I thought about the article. From a Codesearching standpoint…what “word-set” from the article, seemed the most improbable to show up in a Matrix? What word or group of words, would be almost mathematically impossible? “עמרצרפת”-Omer, France became my access term. I didn’t even bother to separate them. If this prophecy was true…. then all (7) letters would be there…….as statistically impossible as it was. As I heard the computer humming and ticking, seemingly taking forever to run it’s search, I remember thinking…..
And then it happened….. The statistically impossible Axis Term, showed (5) potential matrices! I was very surprised, but still skeptical…..
All of them showed in the Matrix! I couldn’t believe it………. my head was whirling inside. Could it really be true? Just like before, I inputted the secondary terms…..
To my astonishment, it was all there. Everything the woman in the article had claimed……..AND MORE! I’m not saying that this has to happen. I’m just letting you know that it is encoded. Brothers and Sisters, pray for Israel! Hope for the best, prepare for the worst. We certainly live in unparalleled times! What does the Bible say about Dividing YHWH’s land? Here is a link to the article, that inspired the search. I encourage you to read it for yourself! Please also see a very important post: “Temple Mount Connected to New Madrid, Yellowstone and Cascadia Subduction Zone.”- Will America suffer the same fate that Ancient Babylon did in 539 BC? Please note: The Content in this article is not endorsed by TheCodesearcher.com.